I’m missing something. I do not see a recipe??? over Salad Greens; I’m going with: Baby Romaine. close, and sounds as yummy! 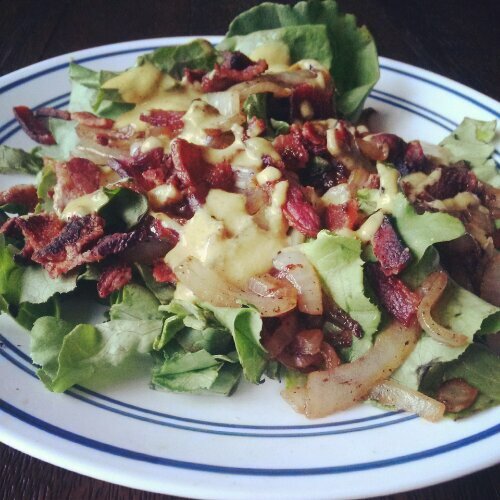 no mayo but homemade mustard-onion-bacon vinaigrette! When you come back, you come back with bells on! So, a couple of posts every couple of months?